The group’s haul included one gold and four silver Pendorings. 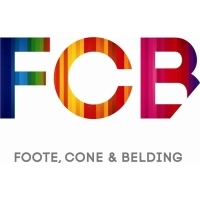 Adding to FCB’s 2014 trophy case were three of its agencies demonstrating, according to Group CEO Brett Morris, the group’s creative depth and breadth. FCB Joburg’s work for Coca-Cola South Africa again led the pack for the group, winning a gold Pendoring in the Truly South African – general category for A Rainbow for the Rainbow Nation and a silver Pendoring for Coke Bobby in the Truly South African – Television category. FCB Cape Town landed a silver Pendoring in the Retail category for ‘Hotel’ and ‘Kegelbal’ for its client, Musica, while FCB 1886 received two silver Pendorings in the Radio category for ‘Hoekslypers’ and ‘Watsê die Jakkals?’, both for Cell C.
“The group’s strong performance at Pendorings – South Africa’s awards show that recognises creativity in all its indigenous languages – is the cherry on the top of an exceptionally exciting awards year for FCB,” said Morris. “But, it’s much more than that. We pride ourselves on creating advertising and marketing campaigns that truly touch the hearts and souls of ordinary South Africans. Winning here year in and year out affirms the fact that we create South Africa’s favourite advertising, and do so across a wide range of clients who are active in many different industries.” FCB Cape Town Executive Creative Officer, Mike Barnwell, who was Jury Chairman of the Afrikaans categories, added that 2014 had been a year in which the judges had been particularly strict and only awarded Pendorings in those categories in which they thought true creativity had been demonstrated. For example, there were no gold Pendorings in the Afrikaans categories for TV, radio or print. At the beginning of September, FCB was awarded the Robyn Putter Top Brand Agency of the Year Award for being the agency behind the most successful brands in the Sunday Times Top Brands Survey 2014. A few weeks later, it came out as one of the strongest performing groups at the 2014 Loerie Awards Festival winning 11 awards, including one of the four highly-sought after Grand Prix Awards.